Another winter. Another congregation of crows in Terre Haute. 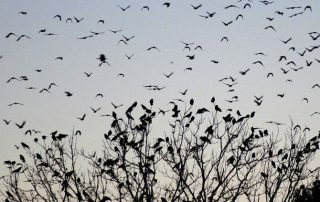 The city continues its annual struggle to cope with an influx of thousands, and often tens of thousands of American crows, from their October arrival to their March departure.